It might surprise you to know that four word sentence is rife with interpretive possibilities. The truly uninformed think the last word indicates I am from a country somewhere in Africa called Armenia, even though Armenia is actually in Eastern Europe. The slightly more informed know the sentence implies some sort of belief in human free will at the expense of an all controlling God. The little bit more informed think that the emphasis should lie on Wesleyan and not Arminius because, as we all know, John Wesley died without any of Jacob Arminius’ books in his library. The even more informed would argue back that Wesley had plenty of books written by Arminians. Therefore the 18th century Wesley owes much to the 16th century Arminius. informed than that. Luckily, he wrote a short book to bring the rest of us nitwits up to speed. 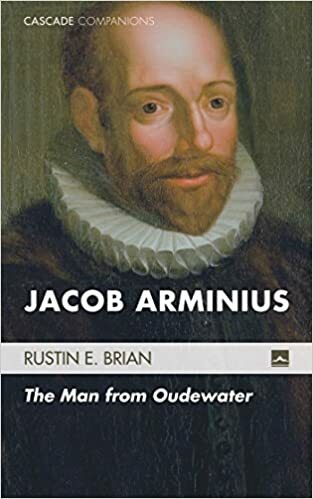 Sadly, before reading about the man from Oudewater I was one of those who thought the connection with Arminius was tenuous at best. I thought that if our tradition had a “Great Grandfather” it would probably be Thomas Cranmer, or even Martin Luther. I mentioned this to a Wesleyan scholar at a conference awhile back who disagreed and that quite vehemently. I think an hour later he asked one of my former seminary professors what he had been teaching us! In remembrance of that embarrassing incident, I eagerly snatched up Brians’ book about Jacob Arminius and read it in a couple sittings. After all, if the scholars of our tradition are saying Arminius is important, I better know my stuff! Brian’s book was the perfect primer, an albeit really short one. It turns out Jacob Arminius actually lived a much less impressive life than I had supposed. Despite underplaying his role in my tradition, I had somehow assumed he died with an international following, several published works to his name and as a martyr for his cause. It turns out he spent most of his ministry as a pastor and only the last few years as a professor. He died of sickness at a fairly young age. He was not burned at the stake or beheaded for his beliefs like I had previously assumed. But due to one of history’s great ironies, his name has had a far more fascinating history than his life. It has become synonymous in Protestant circles with “free will” though we should alter that to “freed will.” Arminius’ theology has also become a critical component to theodicy conversations as his framework retains God’s power while not sacrificing God’s love. Arminius’ name has also been valuable in carving out a middle road through all the Christian traditions, making those of us who bear his name a catch all for anybody seeking a different road. Yet what I appreciate most about Arminius’ biography, or at least Brian’s reading thereof, is that Arminius’ theology was what it was because Jacob was a pastor first. John Wesley was too, for the record. And I am too, as is Brian. In fact, in late college and all throughout seminary I struggled and prayed with whether or not to apply for PhD programs and seek a faculty position at a university. At that point I was proving myself to be an adequate teacher and writer. I was an okay student, a B+/A- one, which one novel cleverly characterized as the black sheep of academia. On top of that my professors were wonderful people who had a life changing impact on me, a pastoral impact no less. It was those same professors who advised that academia was a brutal place with low wages and long hours with high expectations. It was not a job for the weak or uncalled. In the end I chose the pulpit but not because I don’t value the input of ivory towers. Most days my entire ministry rests upon the conclusions of those who spend their days doing nothing but studying Scripture. 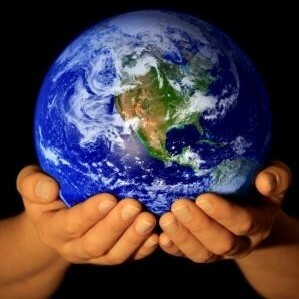 Their contributions are invaluable and they need all the time in the world to think through them. However, their contributions are worthless without pastors whose feet are on the ground and whose hearts are among the people. The great contributors of our tradition have been pastors who spent the morning studying and the afternoons and evenings ministering. Therefore, I am grateful to call Jacob Arminius my great grandpa and to be one of many who continue the work he began in local parishes. I am grateful too for my esteemed colleague, Rusty Brian who continues that work in his local parish and write books like these as an extension of his ministry.